On the morning of June 24, 1943, a U. S. Navy PV-1 Ventura, (Bu. No. 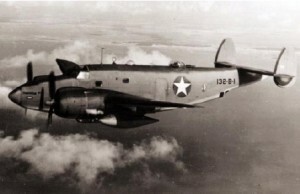 33146), with five men aboard, left Quonset Point Naval Air Station for a training flight. Pilot: Lt. (Jg.) David William Gottlieb, age 22. Co-pilot: Lt. (Jg.) Thomas F. DeVane, age 22 or 23. The men were assigned to VB-125, which at that time was stationed at Quonset Point. The purpose of the flight was for the crew to engage in a training exercise with a U.S. Navy submarine in Long Island Sound. The aircraft was loaded with water filled practice bombs which it was to drop on the submarine while making mock attack runs. While making a low level run on the submarine, the aircraft passed over the sub and began a shallow climb to the left. In doing so the aircraft suddenly rolled up-side-down and dove into the water of Long Island Sound in an area about mid-way between Plum Island, New York, and Niantic, Connecticut. The plane exploded on impact and sank immediately in 100 feet of water. None of the crew survived.